Oversized square wraparound frame with a sleek, contemporary design. 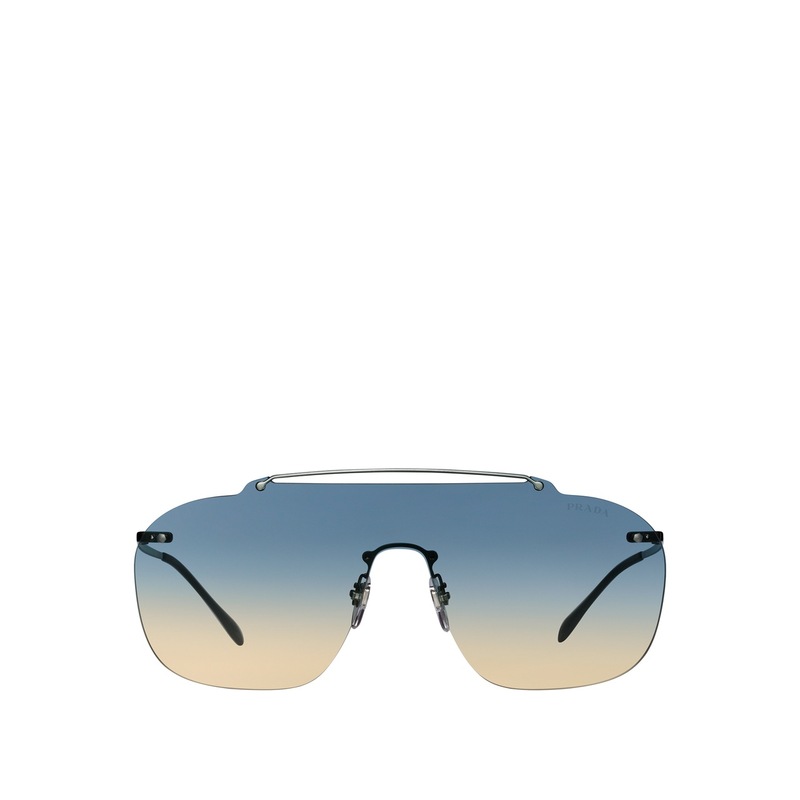 The distinctive single rimless flat lens is accented by the bold metal bridge. 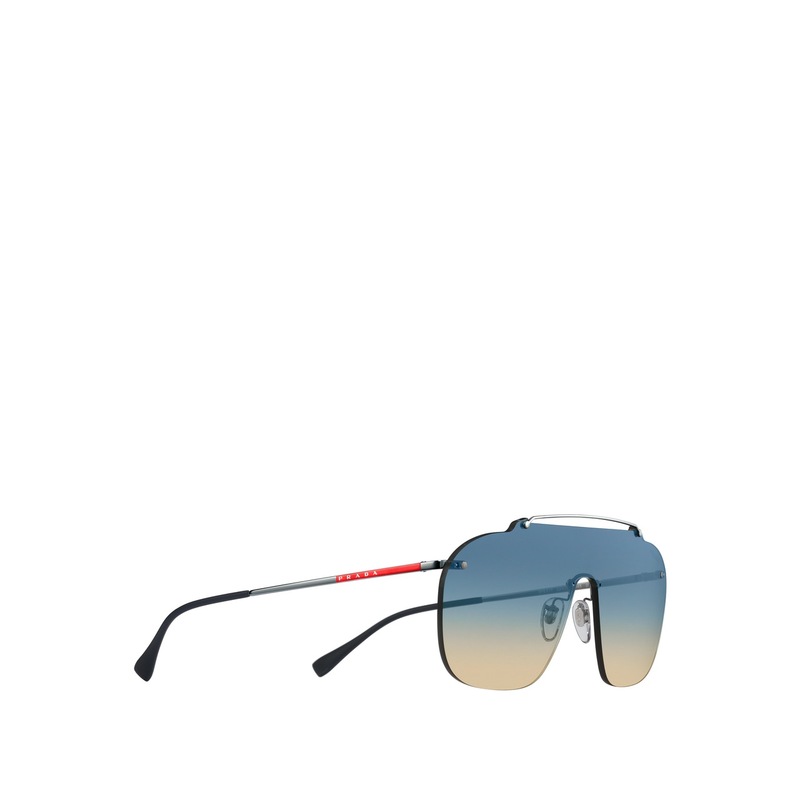 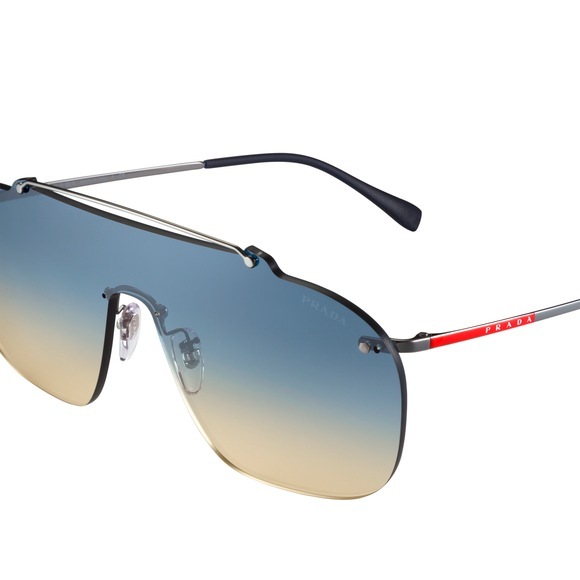 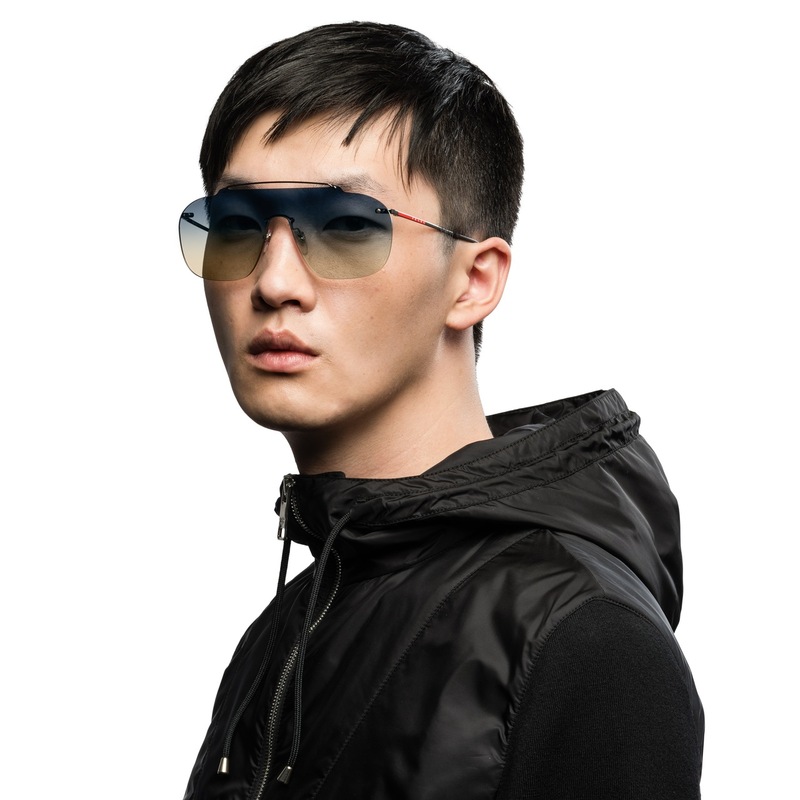 Sleek, light temples with the Prada Linea Rossa logo.